Following a couple of horrendous incidents in the UK, politicians are increasingly calling for greater power over the internet in an apparent bid to gradually remove the concept of privacy from the UK. Every time we have faced adversity these shores we have come out stronger. 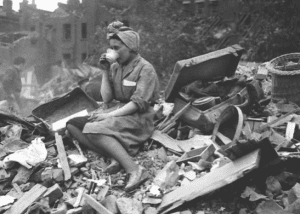 Two of the most iconic images from the Second World War are a women sitting on rubble, elegantly sipping a cup of tea, and a Milkman continuing his rounds through the destruction. 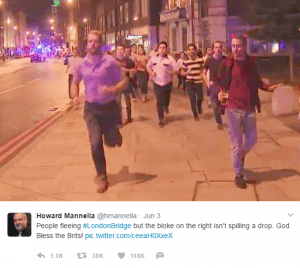 Following the truly dreadful incident this weekend, another one has been doing the rounds over social media – a man escaping the bedlam with a full pint in hand. Of course we have no desire to make light of such a terrible event, but all three images demonstrate the resilience inhabitants of the UK showcase every day; our lives will continue defined by our own standards, not those imposed on us. Despite this determination to continue with our lives, the political response to attacks such as these is increasingly to scapegoat the internet, and especially social media, for allegedly facilitating their planning and radicalisation in general. Following the Manchester attack, Home Secretary Amanda Rudd put her case forward to remove encryption as a security feature, and this week, Prime Minister Theresa May has refreshed attacks on social media giants. The social media platforms, telcos and technology industry on the whole has a responsibility to aid the UK government in the battle against terror, but removing encryption or creating backdoors is not the answer now, nor will it ever be. Former deputy PM Nick Clegg did a great job of articulating the limits of technology companies’ responsibilities today on Radio 4. It is the first step towards a government which can snoop into the lives of anyone with the slightest justification of security, and its also weakens our defences against an army of hackers, phishers and cyber-criminals who could use personal information against the individual. The fact politicians are attacking encryption security demonstrates how good a job it is doing. They can’t hack it, so want to create legal precedent to force technology companies to allow intelligence agencies entry. Encryption currently serves the user and not the government, therefore it is “completely unacceptable” according to Rudd. Politicians like Rudd and May are looking at encryption through the eyes of an institution, not an individual. The ambition is to achieve the aims of an authority, not to protect the individuals wider online identity. Currently, the right to privacy is protected by the European Court of Justice, the same court which told May her Snooper’s Charter was a no-go. But that will only last for a few more months; once Brexit looms large we will no longer be answerable to the European Union and its various authorities. Now the argument does bend both ways. WhatsApp and other services are currently unhackable, which does provide a fortress for the nefarious groups around the world who want to do harm. It’s a Catch-22 situation. In order to preserve our rights of privacy, as well as protect our online identities against fraud or blackmail, we have to accept there will be people who will use the scenario for damning means. 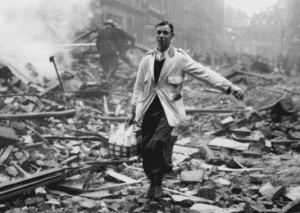 National security is crucially important, but are we prepared to bow to fear and take away an element of our democratic society? The balance between security and freedom is an eternal political conundrum. It’s inevitable that incidents such as this country has recently endured will create calls for increased security and with it greater restrictions on personal freedoms. The 2015 Paris attacks initiated a state of emergency in France that has yet to be lifted. Leaving aside the limited evidence that trying to control the internet will even achieve much in the fight against terrorism, we hope our leaders continue to give our individual privacy the respect it deserves.